The payment of legal fees by issuing stock or other equity to the law firm in lieu of cash became popular in the late 1990s with Silicon Valley startups and has gone in and out of fashion since then. The appeal of the structure, particularly with startups, is obvious. Before these companies start generating revenue, the cost of capital is high, so it may be better to hold off on raising funds to pay service providers like attorneys and instead compensate them, at least initially, with equity. It is also common now to have hybrid structures where, for example, the law firm is granted a small piece of equity issued in exchange for the firm’s agreement to discount fees and defer their payment for a period. The status of the law firm as stockholder can create a conflict of interest, as the attorney’s obligation to provide the company client with impartial advice can conflict with the attorney’s desire to enhance the value of its equity investment in the company. The potential conflict can be dealt with by getting the client to affirmatively waive the conflict after disclosure and advising the client to seek separate legal representation in agreeing to that waiver. This never made sense to me because this whole exercise is based on the fact that the company doesn’t have money to spend on lawyers. Is the company going to pay the second law firm in equity also, and if so, who will provide impartial advice on that arrangement? Regarding the conflict of interest itself, while there are situations where there really is a conflict, I don’t think there is a practical issue in many cases. Take, for example, the attorney’s review of a commercial contract that would result in significant revenue to the company. That revenue would, of course, enhance the value of the attorney’s equity. However, suppose the other party to the contract insists that the client agree to unfair and onerous liability provisions that increase risk for the client. 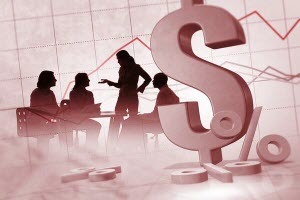 While this seems like a conflict – the attorney might downplay the liability provision so the deal gets done – in reality, if the liability provision truly increases the risk to the company, the attorney-as-stockholder shares in that risk if it comes to pass, since the value of its stock would decrease. Also, conflicts can exist in cash-only arrangements. For example, if the client owes the attorney a significant amount of fees, the attorney could be incentivized to rush the client into ill-advised transactions that would supply the necessary cash to pay the fees, like a financing or sale on bad terms. Conflict of interest issues require case-by-case analysis, and broad brush approaches like ruling out all equity fee arrangements as inherently conflicted aren’t warranted.